Let me begin by telling you a story. Four or five years ago, I woke up one morning remembering very clearly a dream. In my dream, I saw a stretch of road that was very familiar to me. It’s New York State Route 74 that runs between Schroon Lake and Ticonderoga in the Adirondacks. My family often went there in the summer when I was growing up and my brother now lives on a side road that goes off the main road at just the point where I was standing in my dream As I looked at the road, I saw that the east-bound traffic was backed up, not moving at all, and I asked what the problem was and I was told that there had been a motorcycle accident. That was my dream. Now I tell you this story to make only one simple point: this world we live in is very strange. This was, you might say, a useless dream. I think the accident had happened before I had the dream but even if it was later, would I have sent my brother a warning? And if I had, would he have stood out on the road and flagged down motorcycles to warn them? And if he had, wouldn’t the state police have taken him away for further analysis? So why? My brother and I are good friends but not so terribly close that we read each other’s minds. Why? My only point is that the world is a strange place and there are many aspects of it that defy scientific explanation. I want you to think about that because today is Rogation Sunday, the day when it was traditional to pray for the crops. The word “Rogation” comes from the Latin word “To ask.” It’s a day about prayer, about asking God to bless the crops, so I want to talk about prayer. I believe there is no more important thing we do than pray and I want you to think about prayer. I want you to think about your life and your prayers and I want this sermon to make a difference in your life and mine also so that we all spend more time in prayer. I know I don’t spend time enough in prayer and I’m sure at least some of you also don’t pray enough. I want to change that. Now there are two poles of opinion about prayer. And let me say, I am focusing on prayers of petition, prayers asking for something. There are other kinds of prayer: prayers of thanksgiving, prayers of confession, and prayers of praise, but I think it’s prayers of petition that cause the most trouble. 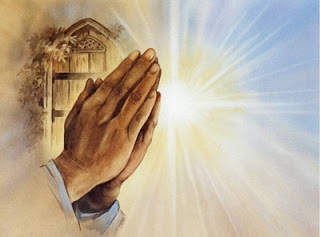 As I said, there are two poles of opinion about prayers that ask God for things. One opinion is that prayer makes no difference; the world is what it is, it evolves in a mechanical, scientific way and prayer makes no difference. The other pole believes that prayer is a formula for changing things and if you just pray the right way, you’ll get good results. I remember years ago some people connected, I think, with Norman Vincent Peale, a very popular self-help preacher fifty years ago, conducted an experiment. They planted some seeds and they prayed for some of the seeds and not for the others. And measured them to see whether prayer made a difference. I don’t remember what the result was. That was a Protestant experiment but I think Roman Catholics often make the same mistake. What is it that happens, when they canonize a saint? They look for results. They form a commission to investigate miracles attributed to the possible saint. Usually there are claims of healing and they look for evidence that someone was healed when medical science said the disease was beyond healing. Now, the funny thing is that both poles have the same orientation. They’re both science based. They both look at prayer as something that either works or doesn’t and, one way or another, they think you can measure it, prove it, settle it one way or the other. I don’t think so. I think that misses the point, misunderstands prayer. Prayer is not a technique for getting things done. It’s not like that, because God is not a machine. 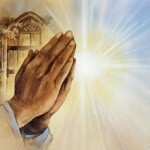 God is a personal God and prayer is part of the relationship between human persons and a personal God. And that’s really all you need to know. But a third mistake, it seems to me, is often made by people who take that idea and run with it and say, “Right, prayer isn’t about changing things, it’s about building relationships, getting us closer to God.” And there’s some truth to that. Other kinds of prayer are exactly about that: prayers of praise and thanksgiving are about our relationship with God: not to change the world but to change us, to get our lives back on center. If we praise God for God’s goodness and give thanks for all God’s gifts, that builds up our relationship with God and that’s a good thing. Prayers of Confession are like that too: they get us back together with God by getting rid of the problem areas. But that’s not what intercession and petition are about: those are prayers that ask for something. And the question is whether we can still do that In a scientific age. And I think we can – if we know what we’re doing. We can make requests in prayer if we remember that we are dealing not with science and proof and results but with interpersonal relationships: it’s all about us and a personal God. And if it’s a personal relationship, we ought to know what’s involved and what to expect. I mean, do you approach your husband or wife as a scientific problem to be solved with measurable results? Have you learned over the years that one approach gets better results than another? Well, yes; it’s better to say “please” than to make demands. It’s better to ask when the sun is out than when your partner’s plans just got rained on. But none of that is a formula. Sometimes there’s no way to get what you want and you might as well accept it. And sometimes your partner reads your mind and does what you want, gives you what you want, or something better than what you wanted, without your ever asking at all. It’s a relationship. But asking is part of it. Some people say, If God knows what’s best, why do I need to ask? Can’t I just trust God to do what’s best for me? Well, no; because sometimes God can’t give you what God wants to give just because you haven’t asked. Think again in personal terms. Suppose your child is at the age when he or she might benefit by having a bicycle. They would be freer to go see their friends. They could maybe run some errands for you. But they haven’t asked. So you wait, because if they don’t want it enough to ask, they probably aren’t really ready for it. You’ll know they are ready when they ask and then you can give what they asked for. So God waits, maybe waits year after year, for us to open the door for God to come in and give us the guidance and strength we need that we can never get without asking, opening ourselves, making room, for the gifts God wants us to have. Look at prayers of asking that way: look at them as part of a personal relationship. Look at them as part of a good relationship, an intelligent, loving relationship. I’ve known families in which the relationship was not loving or intelligent. I’ve known families in which the children’s every wish was indulged: they got whatever they asked for. But they didn’t get what they needed, which was love, not toys. I’ve known parents who gave their children whatever they asked for, not because they loved them but because they didn’t want to be bothered. God is not like that with us. God wants to be bothered, God wants to give us gifts – and does – but God also knows whether we are able to use the gifts we ask for or whether it might be better for us not to have them, to wait, to grow up, to mature, to come to the point where the gift will be to our benefit, not our harm. But don’t you be the judge of that. Let God decide. Tell God what you want. Ask God to give you what you need. Don’t hold back. Don’t say, “I don’t want to bother God with my petty concerns.” Tell God what you want – and maybe add a little, “But whatever . . .” afterwards. Do you remember the story Jesus told of the widow who kept coming to the corrupt judge asking for justice? Finally the judge gave her what she asked just to be rid of her. Now that’s outrageous, but Jesus said, “Take that as an example. Wear God out with your prayers and maybe God will give you what you want just to be rid of you.” Jesus said it, not me. But take his advice, not mine. Well, if you have children, you know they want lots of things and some things will be good for them and some not. And you are the decider. You might have given them the good things anyway and they might not have needed to ask. But you don’t want them to stop coming to you because you always know best. You want them to come; you want to hear what they’re thinking; you want to build a deeper relationship In the process. Ask. God wants you to ask. But be ready to accept answers you hadn’t expected. Think again about that dream of mine. This world God created is a strange and mysterious place. Learn to live with the mystery of things, the unexpectedness and unexplainableness of things. Accept the fact that we aren’t in charge and need to turn to God again and again and may never know the result. But pray. Deepen that relationship. Ask God to make a difference. I promise you, God will – though you may not see it or know it or understand it. But God will make a difference. Ask for good leadership for this parish. Ask for new life for our church. Ask for better health and lower taxes and a better class of politicians and fewer guns in the wrong hands and nice weather for the tag sale. Ask. Jesus told us to ask. So do what you’re told!